Jan Zielonka writes that the consequences of the Brexit referendum are bad for both Europe and Britain, regardless of the result. The EU referendum in the United Kingdom was intended as a festival of democracy, but it has proved to be an exercise in political madness. Brits pride themselves on being sensible and pragmatic people, but they embarked on a sentimental journey into the unknown. Rational arguments are being set aside while populists are having a party. The prospect of a referendum with an uncertain result has already caused a great deal of disarray, and those who count the costs of a possible Brexit should realise that major damage to Europe and the United Kingdom has already been done. David Cameron initially called the EU referendum to appease Eurosceptics within his own party, but the result has been perverse. The Tories are now divided more than ever, Cameron may lose his job, and Great Britain may lose Scotland. The essence of Cameron’s argument for a YES vote is perverse too: let’s stay in the EU because we are not part of meaningful integrative endeavours such as the Euro or Schengen. Perverse is also the argument of Jeremy Corbyn’s Labour: the EU is bad, but voting NO will help Michael Gove and Boris Johnson to convert Britain into a “neoliberal fantasy island”. With British friends like this the EU has bright prospects. There is no evidence suggesting that the deal Cameron negotiated with the EU has satisfied many undecided British voters, but there is evidence suggesting that numerous European politicians are happy to follow the UK example and demand from the EU their own list of opt-outs and special arrangements. Shall we ban the benefits of Polish workers in Austria? Should Poland accept the EU’s interference in its constitutional crisis? Why should Italy put up with budgetary restrictions demanded by Brussels? I have heard these questions openly debated in countries I visited in recent months. Everything seems up for grabs at present and Brussels is seen as a lame duck. Since Cameron promised the EU referendum, numerous other countries have also decided to let their citizens vote on European matters. Several months ago we had a referendum asking Greek citizens to pass a judgment on a deal negotiated by their government with European creditors. In April a referendum was held in Holland on whether the association agreement between the EU and Ukraine ought to be ratified. Hungary has also announced a referendum on whether to accept mandatory EU quotas for relocating migrants. In all these referenda only a fraction of the European electorate is able to cast a vote on matters concerning Europe as a whole. In other words, a few million partisan national voters can dictate the course of a European plane with 500 million passengers on board. Is this not a ‘tyranny of the minority’? I have always sided with the Greek hardship, but I don’t think Greeks should vote on what to do with German, Finnish, or Austrian money. The Dutch had their ‘democratic’ say on the future of Europe’s relations with Ukraine, but the implications of their vote will be shouldered by states such as Hungary or Poland. And should we entrust Brits in deciding the future of the European project? Some may give an affirmative answer. The problem is that the race between the YES and NO camp is close and so the outcome may be decided by such factors as the weather on 23 June. And the weather in Britain can be capricious as we know. “God save Europe”, one can paraphrase the British anthem. When Cameron offered the referendum some of my British colleagues rejoiced: we will finally have a serious debate in this country about Europe and our role in it. Now we know how serious a debate it is. Spin and smear are everywhere. We are bombarded by hastily manufactured numbers (statistical data) telling opposite stories regarding migratory and economic prospects. 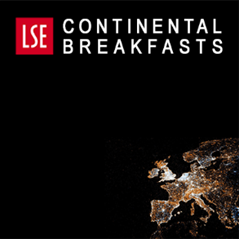 Complex European arrangements are being presented as either good or bad. And the leaders of the opposite camps are engaged in vicious if not grotesque fear campaigns. One of them says that the victory of the NO camp will cause war, and the other that the victory of the YES camp will lead to a superstate designed by Adolf Hitler. So much for the enlightened democratic discourse of two adult Oxford graduates. All this could have easily been predicted because referenda are, by their nature, the heyday of populists. A referendum creates a conflict-maximising mechanism that makes it impossible to arrive at decisions in a consensual, rational manner. A referendum forces politicians to present complicated issues in simplistic black and white terms, which obviously rewards populist politics and demagoguery. A referendum is a zero-sum game of winner takes all, no matter how tiny the count is between the winners and losers. I do wonder what the history books will write about the person who called this referendum. However, blaming only Cameron for this sorry state of affairs would be unfair. The EU has never put in place any genuine democratic means to make people feel that their voices count in European affairs. For several decades we were made to believe that democracy in Europe can be secured by the European Parliament. The European Parliament has been given more powers by successive treaties, but less and less Europeans have bothered to vote in European elections. Moreover, each of these elections have given a mandate to an ever larger group of Eurosceptic politicians. After the last European elections, a triumphant Marine Le Pen told cheering supporters at the Front National party headquarters in Paris: “the people have spoken loud and clear. 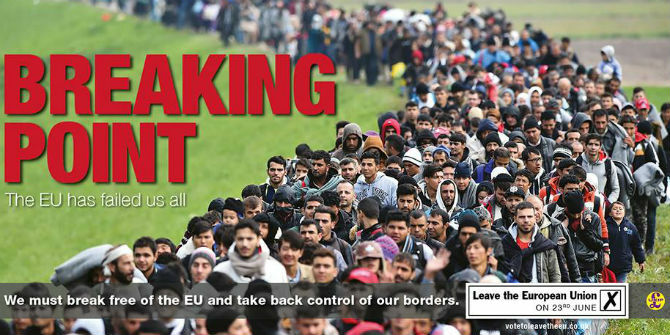 They no longer want to be led by those outside our borders, by EU commissioners and technocrats who are unelected”. The response of Europe’s mainstream politicians was benign neglect and they continued with business as usual. They even elected a symbol of Europe’s ancient regime, Jean-Claude Juncker, as the European Commission President. Juncker’s fingerprints are on everything that went wrong in the EU over the past three decades, from the heavy-handed handling of the Euro crisis to the light-handed handling of tax evasion. To make it more absurd Brussels called the selection of Jean-Claude Juncker a “triumph of democracy.” This was because Juncker was the so-called Spitzenkandidat selected by the centre-right coalition in the European Parliament. But was there any evidence suggesting that during the 2014 elections people voted strategically for certain parties in order to get Jean-Claude Juncker as the Commission president? For instance, Italians would have to vote Silvio Berlusconi in order to support Juncker. This sounds rather bizarre to any left-wing friends of European integration. In the EU, technocrats dominate policy-making while populists dominate politics. Unless there are some meaningful channels of pan-European public deliberation and bargaining the EU will struggle to enjoy legitimacy, and national zealots will continue tearing Europe apart. One thing is certain: the EU referendum in Great Britain is a step in a wrong direction, no matter what the result. This post represents the views of the author and not those of the BrexitVote blog, nor the LSE. It has appeared at the UCL European Institute blog and, before that, on Open Democracy. Jan Zielonka is Professor of European Politics at the University of Oxford. Professor Zielonka, how eloquently detailed and impassioned a set of observations you have shared with us. I wish ihad been one of your students. How do you think your views can help to inform us Brits on how to vote? How do so many foreigners ingratiate their way in to our education system to promote their political agenda? 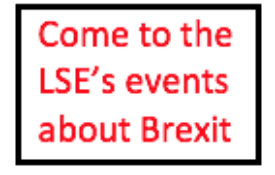 It is an absurd subject to be brainwashing students with, creating posts for foreign lecturers to promote the European Union. Most of the population can’t be bothered to find out the names of a single EU President & they have five to find out about even British pro EU MP’s can’t name them so clearly they are following them down a blind alley. This referendum is about democracy and accountability. The EU has neither, you can’t even be an EU commissioner until the EU Politburo has vetted their appointment & thoroughly interrogated them to make sure each applicant shares their agenda. Anyone with an inquisitive mind is cast aside as a threat to the status quo. If you only have candidates from people with the same failed mindset you will only ever get more of the same disaster time after time. The EU thinks of itself as some kind of benevolent organisation but in reality it’s is just as despotic at Soviet Russia. At least Putin can be removed at a General Election as can the US President. You cannot remove an EU president, they are un-elected. That Brexiteers think that to point to the fact that a distinguished scholar, who has spent his life critically studying this subject, is ‘foreign’ is enough to delegitimise his argument reveals much about the toxic combination of xenophobia and anti-intellectualism that lies at the heart of Brexitland. British universities appoint on the basis of merit, not nationality, and they are all the richer for the diversity of talent within them. The irony is that Professor Zielonka – the author of a book called ‘Is The EU Doomed?’ – is very far from being a defender of the status quo within the EU, as is clear even from this blogpost. Hence your comments underline the very point Professor Zielonka was trying to make: the EU indeed faces very real problems that need to be debated, but they are not being discussed, because the referendum debate largely concerns various nationalist fantasies about Europe, rather than the Europe that actually exists with all its strengths and weaknesses. That’s why more and more intelligent Eurosceptics are coming to the conclusion that, if Brexit means handing our country over to people who openly despise education and openly attack people for being of a different nationality to them, the cure must be worse than the disease. When I was a student in the early 1970s, we were anti-establishment and pro the working classes. Now it is completely the opposite: students support the elites in Brussels, the multinationals and banks such as Goldman Sachs. It is the working classes that are feeling the effects of being in the EU: uncontrolled movement of labour from the EU is suppressing their wages and increasing the rent they have to pay. Workers in the construction industry are in real terms being paid less than they were in 2008. People have difficulty getting an appointment with their doctor and getting their children into a good school. Essentially this isn’t a referendum about the EU, it has become a referendum about immigration. It’s like having a referendum on the death penalty. People who believe in it are immune to facts. But just in case they aren’t here are few facts about conservative policy on immigration. 2) Ian Duncan Smith is a slippery hypocrite when it comes to such matters. 3) But we knew that anyway when he received an official reprimand in 2013 for his misuse of govt statistics. The only reason Cameron doesn’t call Ian Duncan Smith (or Gove or Johnson) on such matters is he would be forced to admit the manifesto pledge was a lie and that the cabinet knew it was a lie before they made it. For the record: here is a link to the National Population Projections detailing the “principal variant” used by the DWP in their June 2015 publication “Long Term Projections of Pensioner Benefits”. Great Britain is an island so it is highly unlikely that it will lose Scotland. A professor should be more careful in his language useage. The EU referendum could be the final blow to the obscenity that was the Act of Union forcibly putting Scotland under the power of Westminster and at least one good thing would come out of it.